 Welcome to RIMINI HOSTEL the ideal budget accomodation for your Rimini` s holiday! We are conveniently located in one of the best areas in town, perfectly served by public transport, just a few steps away from Rimini` s famous beach, heaven of sun and nightlife. We are also just minutes walk away from the historical city centre, where you will admire the remains of the ancient roman town or spend a night drinking in one of the many pubs and wine bars of the old town, the real meeting point of Rimini` s youth. Rimini was thought for all people looking to spend a cheap and fun holiday in Rimini. Here you will find a young, international and stimulating atmosphere… and plenty of services which have been thought just for you as the happy hour bar for example, where you could start off your nights at some really convenient prices! If you are backpacking in Italy, RIMINI HOSTEL it is exactly what you are looking for. From Rimini you will easy reach and discover some other amazing Italian cities such as Venice, Florence or Bologna…and we will be here to help you planning your trips! La Palma Hostel is located on the extreme south of the Island, just 15 minutes from the airport and within easy reach of the majority of the island’s points of interest. Fuencaliente is an unmissable stop for hikers, or those wanting to discover the island’s many treasures. Fuencaliente will enchant you with it’s contrasting beauty, which ranges from it’s green and aromatic pine forests, to the fascinating trails created by the eruptions of the San Antonio and Taburriente volcanoes. Along the coast, one can admire the colourful reflection of the sky on the pristine ocean. Take advantage of the uncontaminated volcanic beaches and explore the suggestive tropical labirynth of banana plantations.